Okay, I’ll admit it. I’m a stickler for the way my house smells. We have pets (a cat and a dog), so I’d like to think that the pets are not the first thing visitors smell when they pop by, so I take great care to make sure our home smells fresh and clean. Our homemade air freshener spray is one example of that. 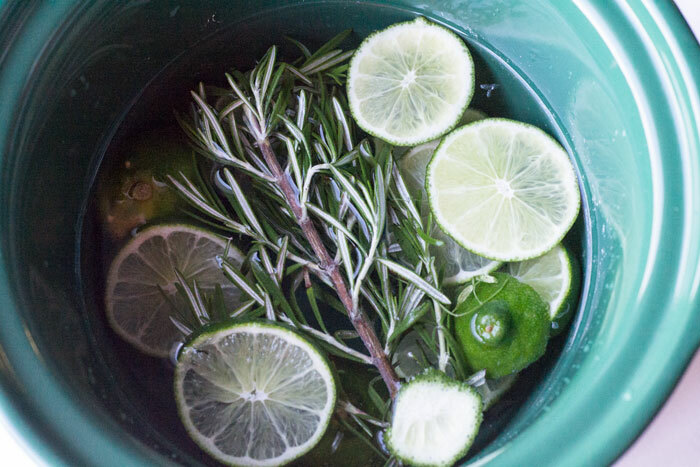 And here’s another… an incredible-smelling crockpot simmering potpourri recipe for springtime featuring lime, vanilla, and rosemary. You have to try this simmering potpourri recipe in the crockpot (or on the stove, if you prefer). It lasts longer in the crockpot because you can set it on low and let it go a LONG time. However, it lasts quite a while on the stove, too, because you can just add more water when the water gets low. Easy peasy. 1. 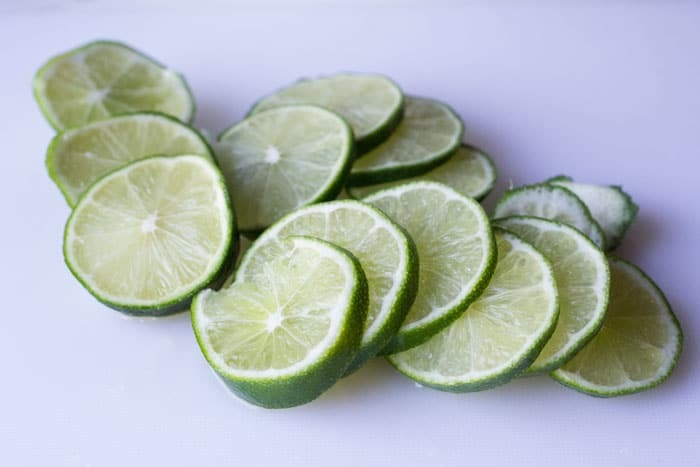 Slice two limes. Or cut them in wedges. It really doesn’t matter; it just looks prettier when you cut them into slices like this. 2. 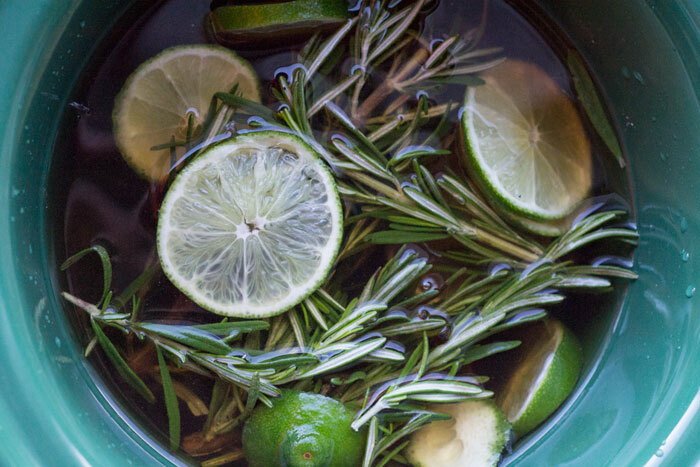 Add 4 cups of water to the crockpot along with sliced limes, rosemary sprigs, and 3 Tbsp. of vanilla extract. Use pure vanilla extract here — not the imitation stuff. This is important! 3. Turn crock pot to low and let simmer, adding water occasionally when it gets low. That’s it! Your home will smell ah-mazing… like a fresh spring day, keeping both you and your family happy! For best results, you may want to leave the lid off your crock pot after it gets warmed up. I don’t usually find this is necessary, but if you want a big burst of fragrance (for instance, if you’re having company over), then taking the lid off can help the scent fill the room faster. 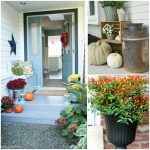 Our home is small, so it actually fills our entire home with fragrance! 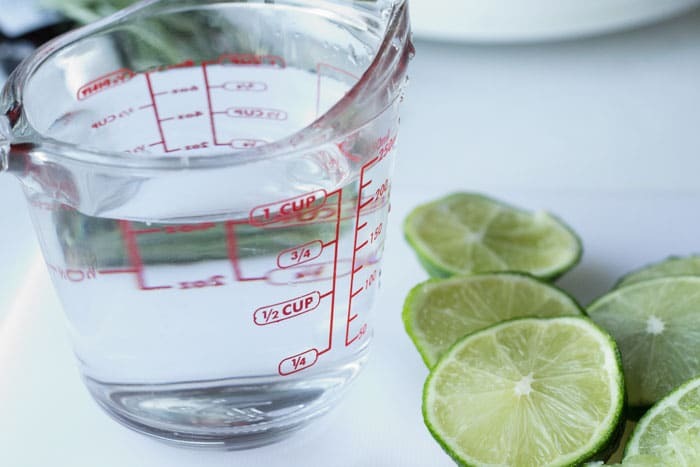 For different variations on this, try substituting other citrus fruits for the lime. Lemon is excellent for this! Lemons just smell clean, don’t they? You could also try grapefruit (which is one of my all-time favorite scents), oranges, tangerines, etc. 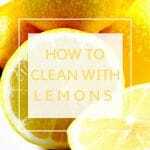 Basically, use whatever citrus fruits you have on hand, and you should have no trouble at all making your home smell amazing. 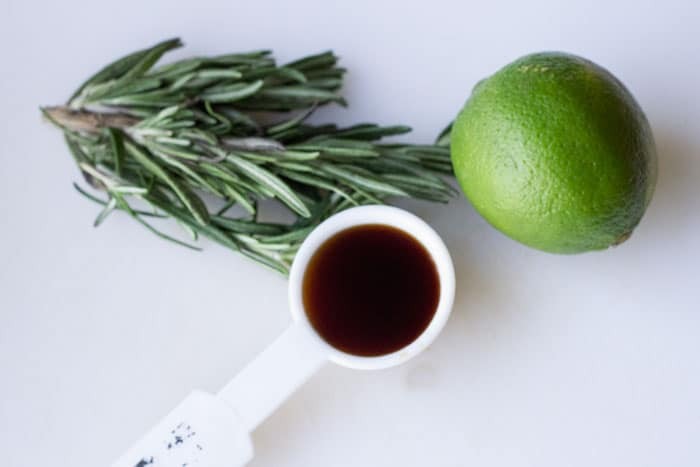 While you can also play around with the herb in this simmering potpourri recipe as well, I just haven’t found another one that smells that great. Spices, on the other hand, can add a lot. Cinnamon, nutmeg, ginger… these are great choices for fall. 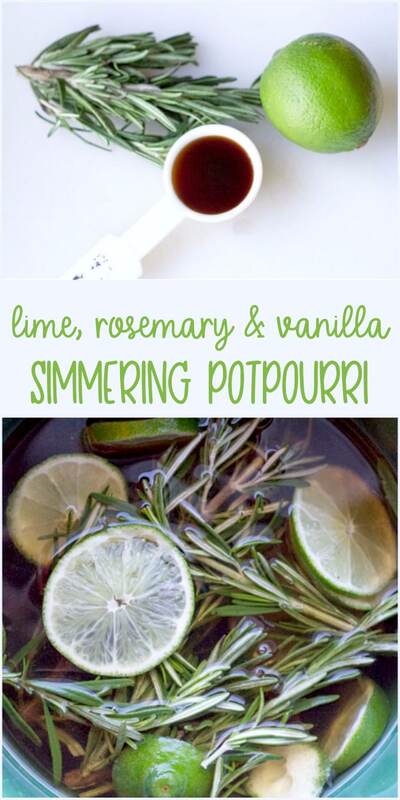 Let me know how you like this homemade simmering potpourri recipe if you try it!